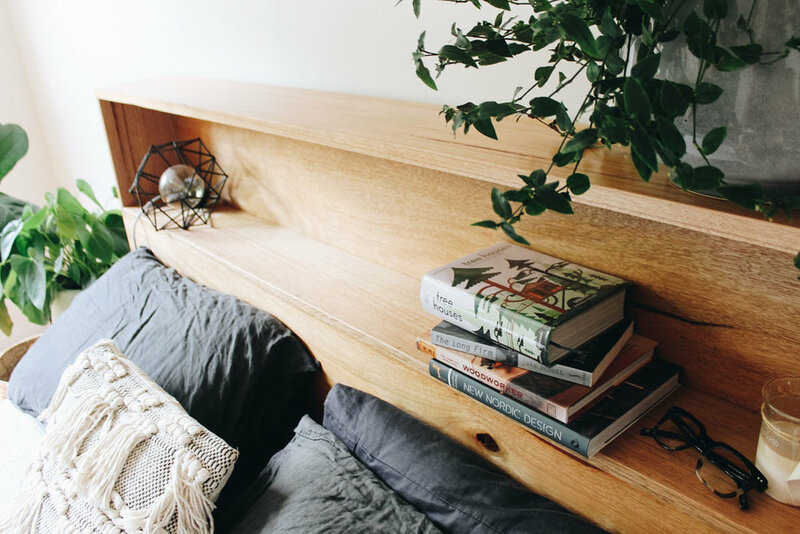 A hybrid of our bookshelf bed and platform bed. Featuring the popular bookshelves but elevated on top of a platform. Handmade from locally sourced, recycled hardwood timbers.